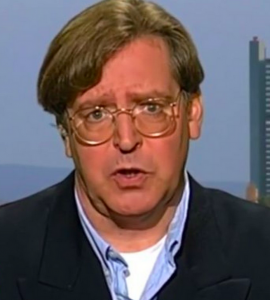 On January 13, Udo Ulfkotte died, reportedly of a heart attack. Ulfkotte had been an editor at the Frankfurter Allgemeine Zeitzung. He published a courageous book in which he said that the CIA had a hand on every significant journalist in Europe, which gave Washington control over European opinion and reduced knowledge of and opposition to Washington’s control over European heads of state. Essentially, there are no European governments independent of Washington. Courage, once plentiful in Europe, is today hard to find. Charles de Gaulle was the last head of a major European state that maintained independence from Washington. Today we find independence in Marine Le Pen and perhaps in the president of Hungary. But for the most part West and East European heads of state are Washington’s vassals committed to Washington’s wars. This, of course, includes the Chancellor of Germany, the President of France, and the British Prime Minister. These once powerful countries of Europe, whose dominance comprises most of Western history from the fall of Rome to the Second World War, are today American puppet states. Under Yeltsin, Russia herself succumbed to American overlordship, but under Vladimir Putin Russia regained her independence and is today able to constrain Washington’s unilateralism in some areas of the world, such as Syria and Crimea. In the Far East Washington’s Japanese vassal is now checked by the rise of China, a country like Russia that has first class leadership that cannot be found anywhere in the West. The Western world has proven itself incapable of producing real political leadership. This failure results from the centuries of Western dominance that has so corrupted Western political processes that the entirety of the West is subservient to an oligarchy that has succeeded in concentrating all income and wealth gains in a few hands. These few have enormous power, as we see in the CIA’s open and blatent assault on the president-elect. The danger that life on earth faces is that Washington assumes, based on the historical rule of the West, that it is normal for this rule over the world to continue. However, Russia and China do not agree. Either country is sufficient to stand up to Washington, and together they overmatch Washington’s military capability. Due to the arrogance that resides in Washington, the would be overlords of the world are not aware that Russia and China are not Iraq and Libya. If the idiots that rule in Washington bring us into war with these powers, the United States will disappear from history along with the rest of the world.